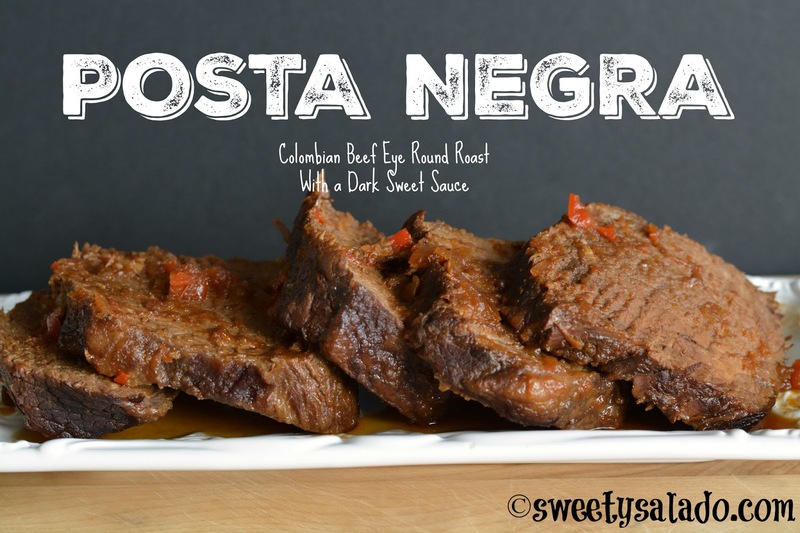 Posta negra or posta negra cartagenera, which is usually made with beef eye of round roast, is a recipe that is mostly made in the Colombian Caribbean coast, hence its name, but that is not usually made in other parts of Colombia. I have seen that many people make it mainly for special occasions, which is why so many of you have requested it, especially during the holidays. There are several ways to make it, and actually, the recipes that I found in several Colombian cookbooks varied depending on the author. So, there is not one unique way to make it. 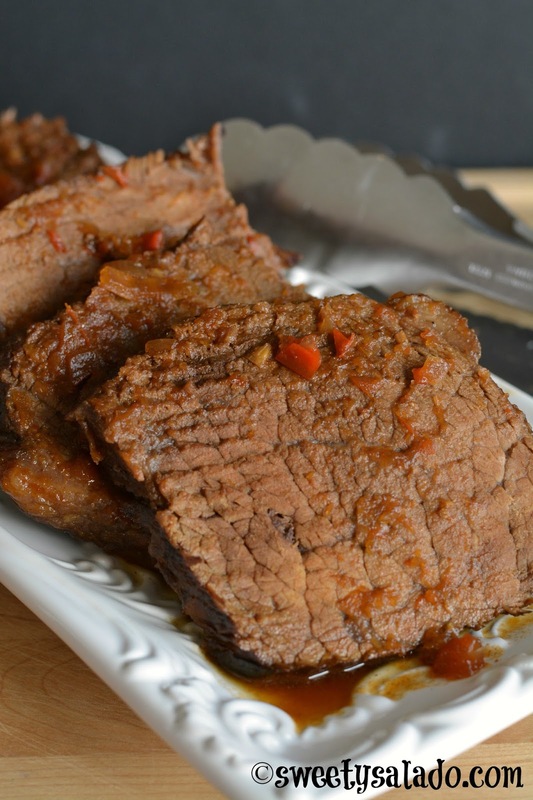 However, they do have several ingredients in common, among them being the type of beef (eye of round roast) and panela (hardened sugar cane), or in the case of those of us who live outside of Colombia, brown sugar. The recipe for this posta negra is a combination of several recipes that I have made at home. I didn’t find one that I particularly liked, either by the ingredients that were used or because of how elaborate it was to make. So, I ended up “designing”, if you can call it that, a recipe that has ingredients that are easy to get and really easy to make. It does take a while to make, however, but it comes out so delicious that it’s completely worth the wait. With a sharp knife make incisions all over the beef and add ½ the amount of chopped garlic into each incision. Season it with the ground cumin, salt and pepper and then pour in the wine. Cover well and refrigerate overnight. If you want, you can turn it over every few hours to make sure it is well covered by the marinade. Take it out of the refrigerator 30 minutes before cooking. Heat the olive oil in a large pot over medium or medium high heat. Add the brown sugar or panela and stir until it melts and it turns a dark caramel color. Add the beef and sear on all sides. Add the onion and red pepper and cook them until tender. Then, add the tomatoes, cola, Worcestershire sauce, and enough water to cover it half way. Cover the pot and bring it to a boil on high heat. Then, reduce the heat to medium low and cook for 2 hours or until the beef is cooked through. 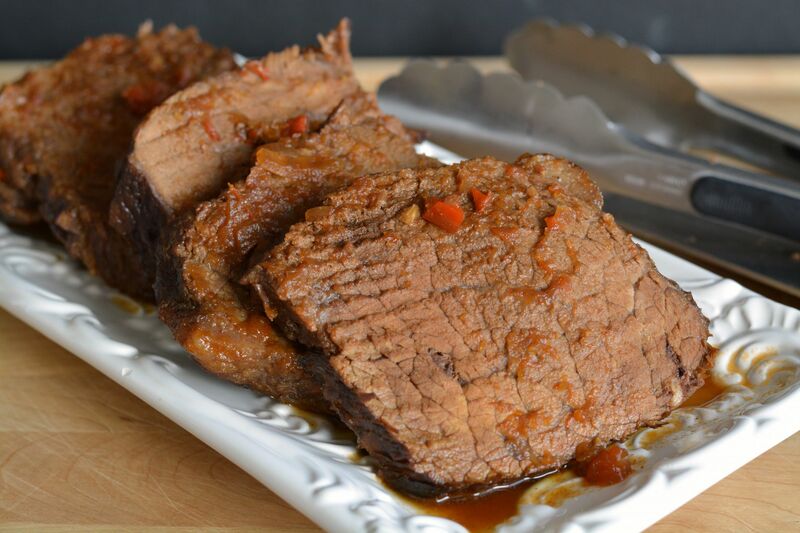 Remove the beef from the pot, let it rest for about 10 minutes and then cut it into slices. Blend the sauce (optional), and taste for seasoning. Add more salt and pepper to rectify the flavor. Now, add the beef slices and simmer on medium heat for about 15-20 minutes so the beef can absorb the flavor of the sauce. You can serve this dish with Colombian coconut rice and patacones (fried green plantain chips). Mouth watering pictures. I love them.